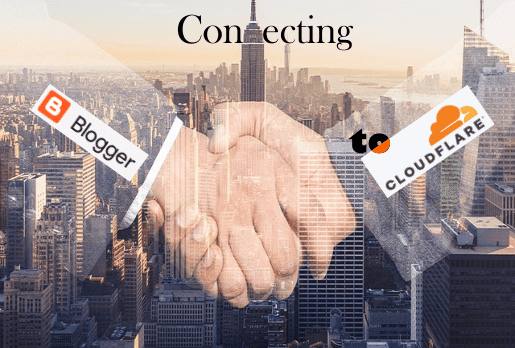 Okay Publishers today we are going to see how to easily connect your blogger website to Cloudflare – hassle free. Basically, using Cloudflare CDN will help speed up your website and will also give additional protection to your content. Now with all the potholes anticipated (and fixed), this is simply the best way to connect a blogger-hosted website to Cloudflare CDN to start enjoying the benefits like other publishers. On the popup, click on Confirm. 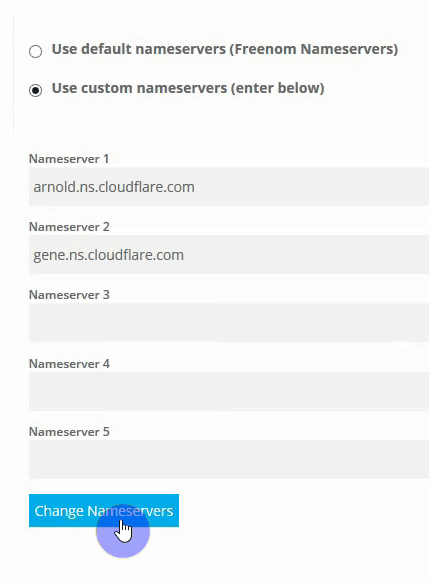 Wait for Clouldflare DNS querying to complete. Once DNS querying is complete, review to make sure all records are properly copied from your former registrar’s panel. (If you can, download your .zone file from your registrar and upload it to Cloudflare). 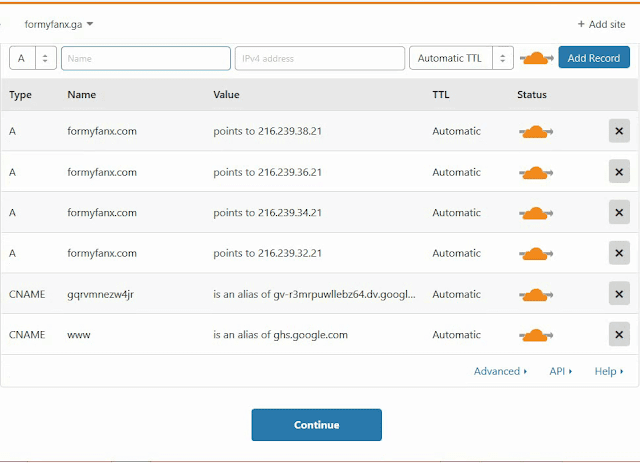 Without MX- and other bigheaded records, you should have DNS panel on Cloudflare looking like the one below. Once changes are saved, proceed to intodns.com. There we will find out if nameservers have been successfully changed. Once nameservers for your website have successfully changed to the ones provided by Cloudflare, go back to the Cloudflare tab and click on RE-check now. Cloudflare will send you an e-mail to let you know you have successfully connected your blogger website to Cloudflare. At this point your setup is complete. If you have any issues drop a comment below and we will help you sort it out. Once nameserver changes are complete. If you decide to take your website off Cloudflare, please wait for at least 24 hours or two days before you do so – we recommend two days. This is one of the things that lead to the first two errors mentioned above. Your website could go offline for 12 hours or more. And this is not just a blogger problem. No matter the platform once you mess with nameservers, your website may become inaccessible for few hours. If you need to revert changes, see the article on how to take your blogger website off Cloudflare without messing things up. At this point your set up is complete and in about 24 hours or less you should have a faster, better website. It may interest you to know that Cloudflare is now a registrar. 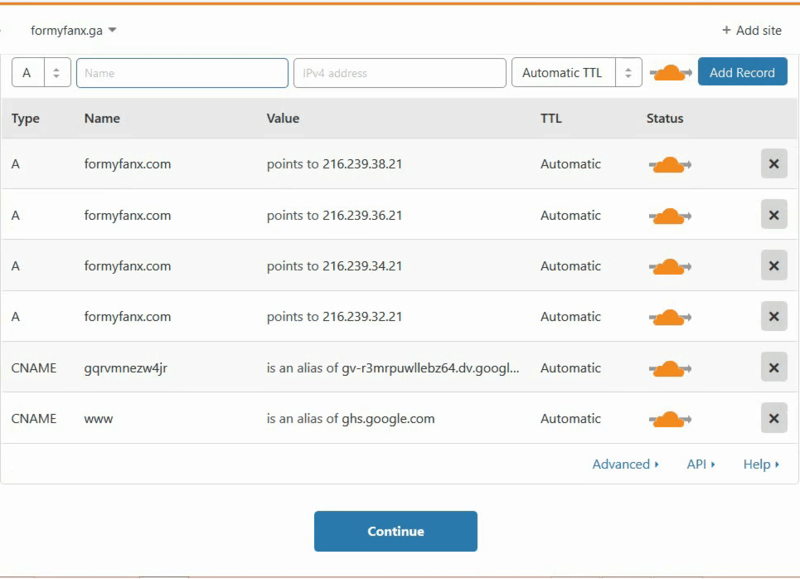 So you can start transferring your domains to Cloudflare at no extra cost. Again if you need help drop a comment below and we will be happy to help you out.